Help Breath Matters - Idiopathic Pulmonary Fibrosis patients, caregivers, and family members needed. This is a special message from Breath Matters: by participating in the research effort from Trotta Associates, Breath Matters will receive a special referral donation. 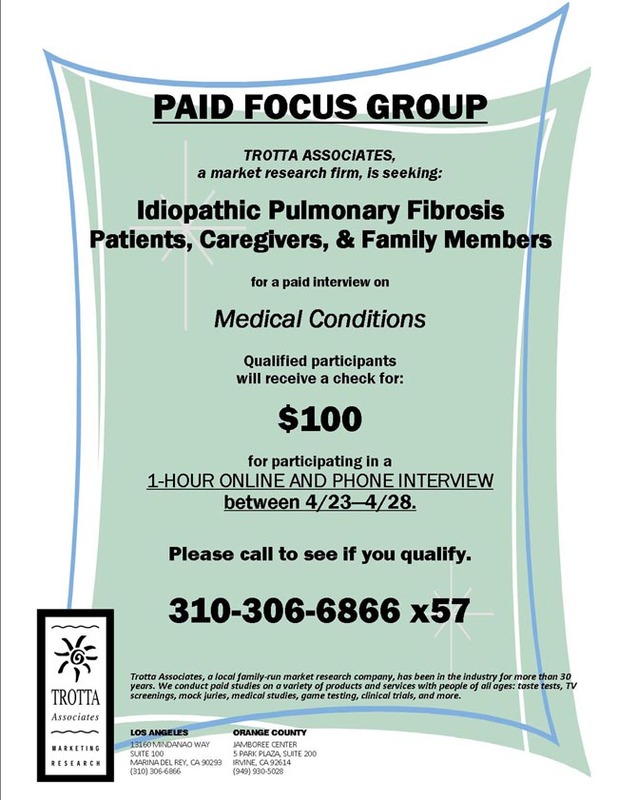 Idiopathic Pulmonary Fibrosis patients, caregivers, and family members needed. Qualified participants will receive $100 for participating in a 1-hour paid online and phone interview between April 23 – April 28. IF YOU CALL, PLEASE MENTION BREATH MATTERS or Russell Glover, Breath Matters President.